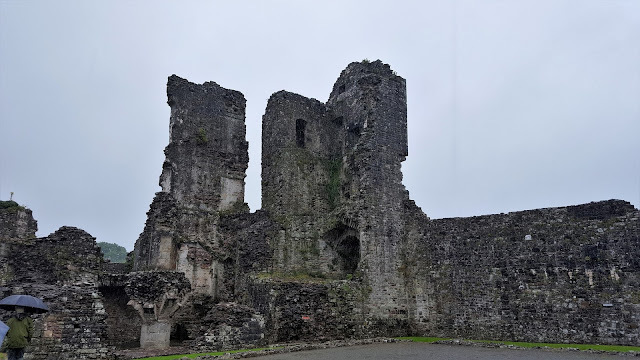 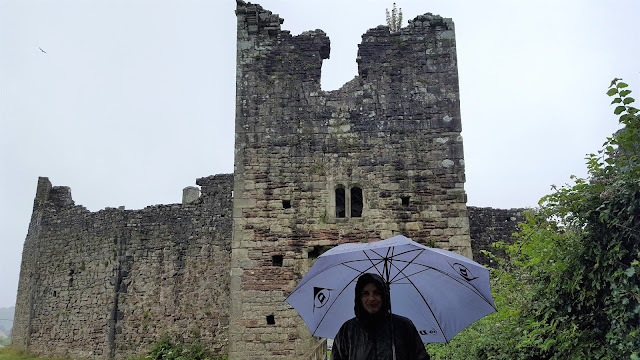 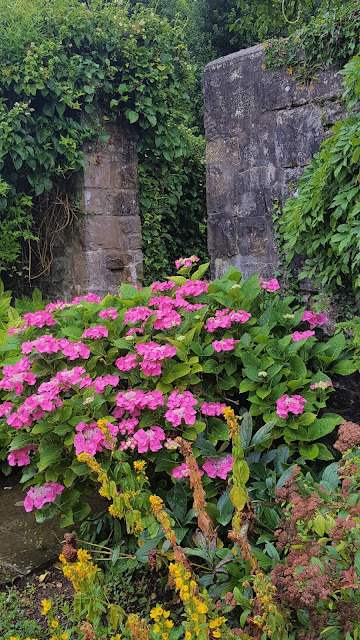 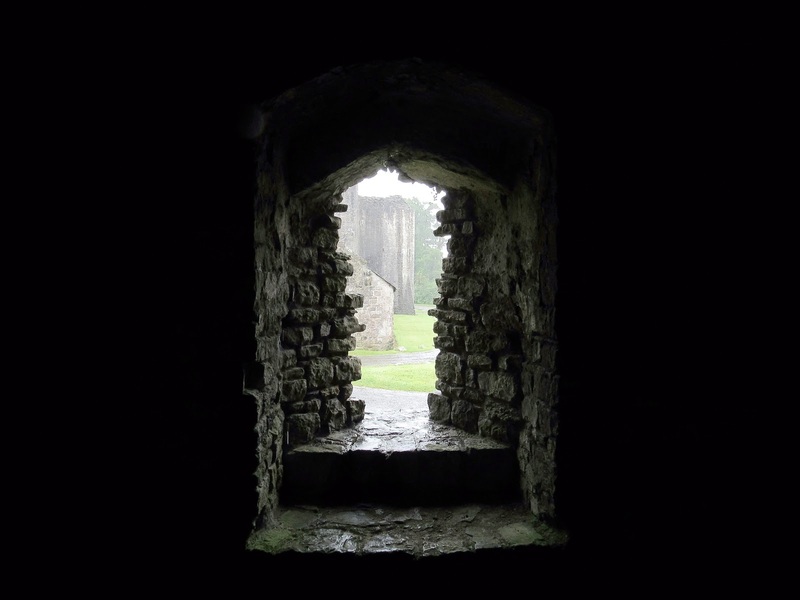 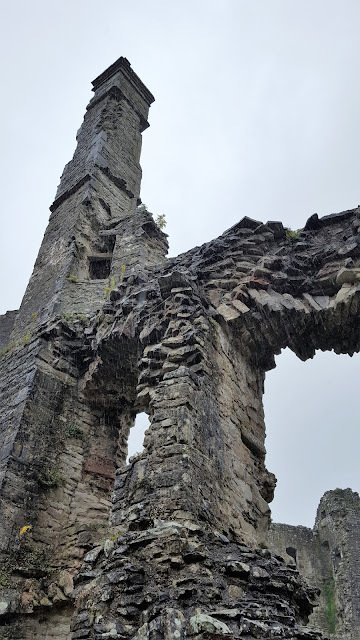 We visited both Ogmore and Coity Castles and my pics got a bit confused with the rain and all. 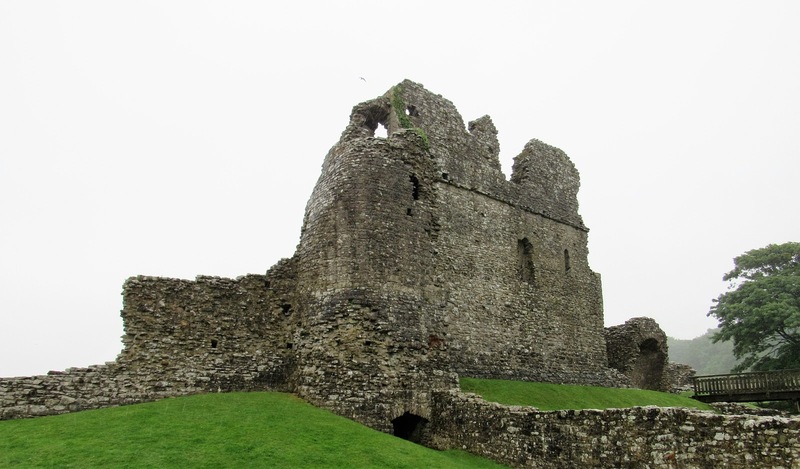 These castles were built at the westernmost point of Norman holding stolen from the Welsh to keep the Welsh out. 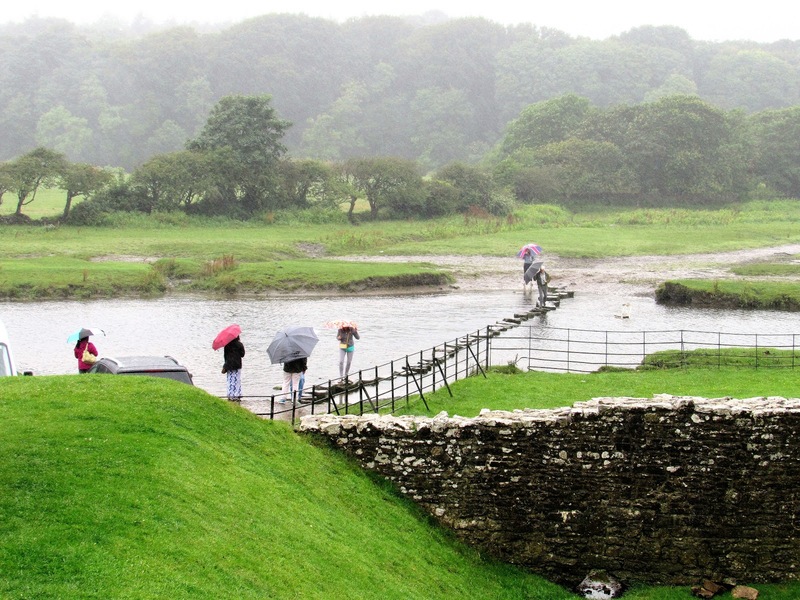 Ogmore was built to guard the ford to keep those wascally Welsh from rich, stolen, Norman lands in South Wales. 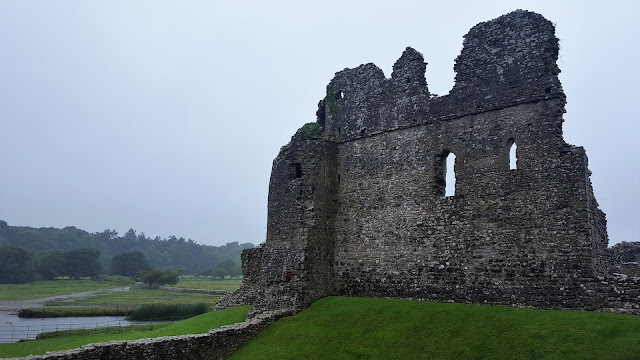 The ruins of Ogmore. Or Coity? The river is the Ewenny. 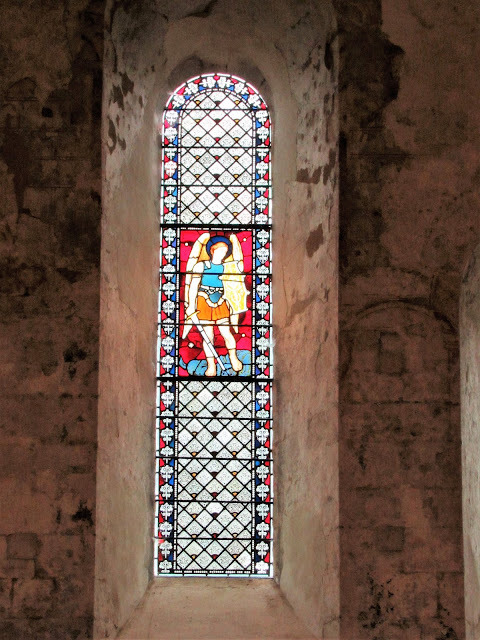 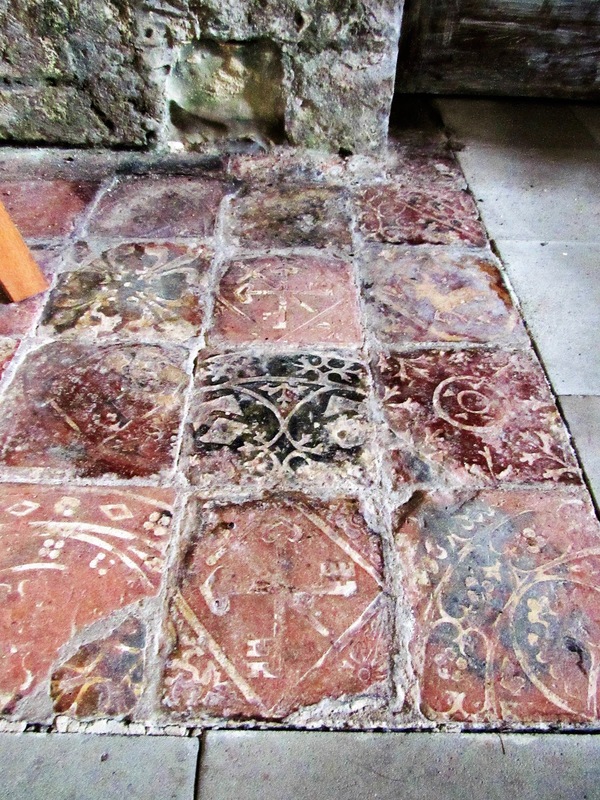 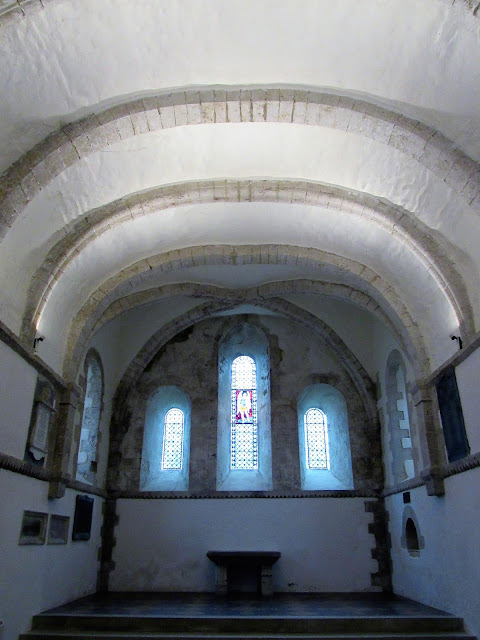 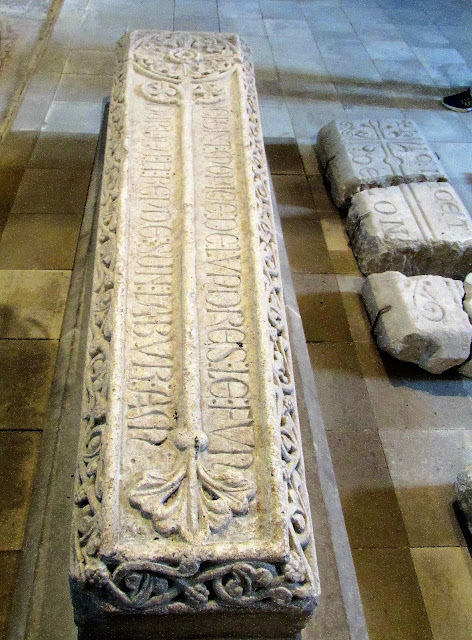 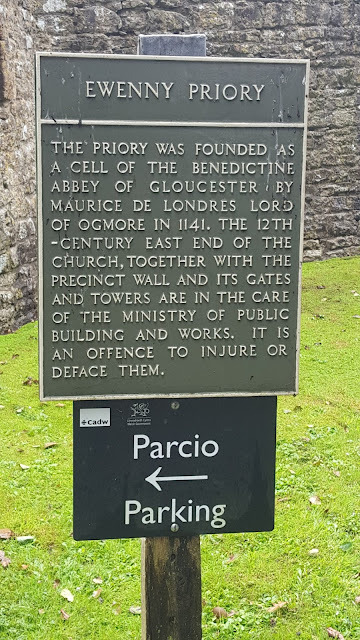 Nearby, we visited Ewenny Priory and got out of the rain. "Parking" is obviously a stolen word from the Welsh original, "Parcio"
Might as well be Spanglish! 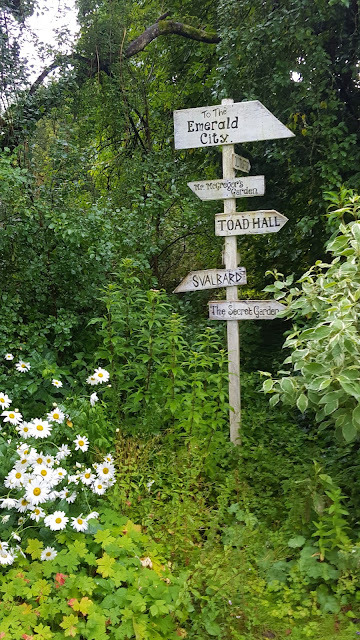 And we stumbled upon secret gardens. 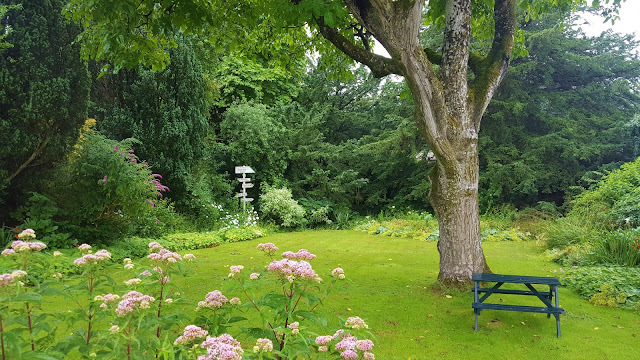 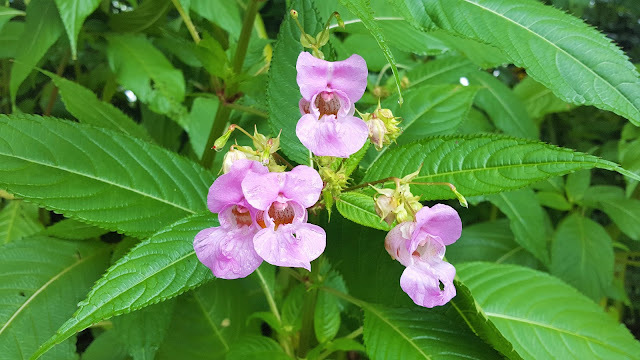 With much rain comes much beauty.